It’s hard not to like a film in which the characters randomly break out in dance. In life I know so many people that do things like that. Have you ever been around someone and they start singing? I like when someone is so happy that the energy inside them is so big that the only way they know how to express it is by dancing. You know what I mean? Someone doesn’t karate chop something when they’re excited. One of the biggest early laughs in the film is when Ash first appears and you deadpan your first line, “I’m sick.” Were you told not to change your voice even though Ash is 12 years old? That’s a good question. Wes was talking about this movie for a very long time and I wasn’t a part of it. In fact, I read the script before I was even involved. And when he asked me if I wanted to portray the character of Ash, I said I did. The first thing I started to do when I read it was change my voice, I’ll make it higher. When I talked to Wes about it he said, “Let me hear your 12-year-old.” I cranked up my voice a little bit but it didn’t seem to feel correct. So Wes said, “Just talk in your normal register.” But the writing is that of a 12-year-old. Do you agree that this doesn’t feel like the typical Wes Anderson film? Absolutely. But what is it? I can’t put my finger on it. You know what I love about it is it’s very Wes in a lot of ways. It maintains all the things I love about his work, but it is also new territory. Obviously it’s a new medium. I don’t know what it is. Maybe it’s the element of danger? But all of his movies have danger. I mean, all of them have adventure and danger. I don’t know why. There are already some comparisons to Where the Wild Things Are. Both popular children’s books adapted by high-profile directors released within a month of each other. I think those are the similarities. The timing is funny. Both Spike [Jonze] and Wes have been working on these movies for years. And it is funny they came out within a month of each other. The obvious similarities are both high-profile books, high-profile writers, adapted and directed by young directors. Each have real distinct styles and visions and are unique and no one else could make the movie. But they’re nothing alike story-wise. But one thing, perhaps, that they share is this idea of not dumbing it down or not treating children like kids. Children are very complicated and complex and have so many deep feelings. With Where the Wild Things Are and this movie, it’s the idea we’re going to make something dangerous and adventurous. 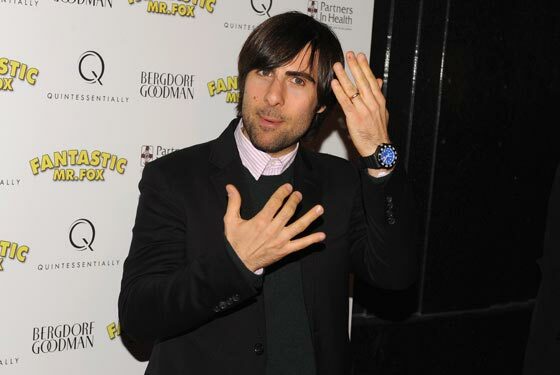 Until recently, the thought of the comedy duo of Jason Schwartzman and Ted Danson seemed unlikely. Thank you. [Bored to Death] is really fun to do. Jonathan Ames is an incredible writer. I’ve always wanted to play a private detective. In fact, a month or two before I met Jonathan and even before I knew about Bored to Death, a friend of mine asked, “What would your dream part be?” And I said, “private detective.” And that really comes from loving The Long Goodbye. I love Stolen Kisses; I love The Maltese Falcon; and I love noir writing. So here’s my favorite dream part filtered through my favorite writer. The joy and danger my character gets out of being a private detective is probably the same thing that I would get out of it, too. Whenever you hear someone say “Yo, Adrian!” from Rocky, do you think, Hey, that’s my mom? I think it’s an amazing thing that two words like “Yo, Adrian” have been so unforgotten. People yell it out when you achieve something, or you’ve spent a lot of energy and you accomplish something. You yell it out like, “I did it!” Growing up a lot of kids didn’t know my mom [Talia Shire] was in Rocky. And we’d go to P.E. class and we’d have to go jogging; everyone would run up stairs and all the kids would yell it out. They didn’t even know my mom was in the movie. It made me feel kind of awkward but also kind of so happy. Related: See Jason and other stars of Fantastic Mr. Fox in our Party Lines slideshow.